We are joined by Expresso’s very own Katlego Maboe. Not only is Katlego an award presenter, but he is also an accomplished singer, voice-over artist, MC, model and actor. 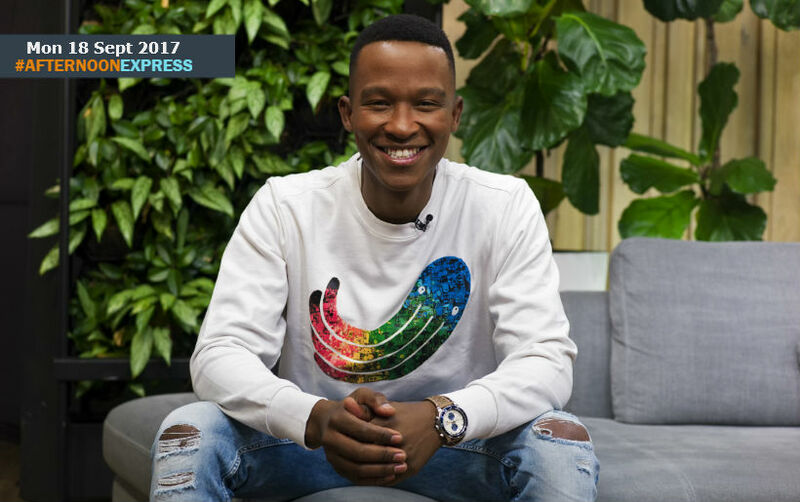 Katlego is not only host of the SABC3 show Expresso but also a second season of Strictly Come Dancing in 2014 and 2015. in 2015 he was awarded the title of Presenter of the Year at the South African Film and Television Awards (SAFTAs), Katlego Maboe has grown year-on-year into a well-known TV presenter. Speaking fluent Afrikaans, English and Setswana, accompanied by an on-point sense of humour, Katlego effortlessly manoeuvres around any given situation and transcends any demographic border. Amongst his many accolades, Katlego was crowned the most stylish male celebrity in South Africa at the 2014 YOU Spectacular Awards, and featured in the 2015 South African Menswear Week modelling for Presidential Shirts. This year he has been nominated once again for the YOU Spectacular Awards, in the ‘Most Stylish Male Celebrity’, you can vote for him here.